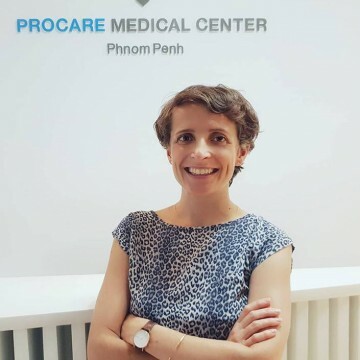 Dr Sallé de Chou is a French Dermatologist, graduated from the faculty of Medecine « Paris Descartes » of Paris in 2009. She worked at St Louis Hospital for 5 years, in one of the most renowned department of Dermatology in Europe. She has a strong experience in general dermatological conditions, immune system disorders affecting the skin, skin cancer screening and skin surgery. 1. Sallé de Chou C, Tazi A, Battistella M, Saussine A, Petit A, Rybojad M, Bagot M, Lebbe C, Bouaziz JD. Sarcoidosis associated with Kaposi's sarcoma: description of four cases. Eur J Dermatol. 2012 Jul-Aug;22(4):550-1. 2. Sallé de Chou C, Hivelin M, Chosidow O, Valeyrie-Allanore L. Cutaneous aseptic mammary abscess associated with ulcerative colitis. Ann Dermatol Venereol. 2016 Feb;143(2):139-43. 3. Battistella M*, Sallé de Chou C*, de Bazelaire C, Cayuela JM, de Kerviler E, Bagot M, Janin A. Lymph node image-guided core-needle biopsy for cutaneous T-cell lymphoma staging. Br J Dermatol. 2016 Dec;175(6):1397-1400. Fellow of the French Society of Dermatology.